Take a Network Break! Facebook announces new switches under the Open Compute Project banner, including support for Cumulus and a model from Arista. F5 buys NGINX for $670 million, NVIDIA buys Mellanox for $6.9 billion, and Citrix investigates a possible breach of its corporate network. 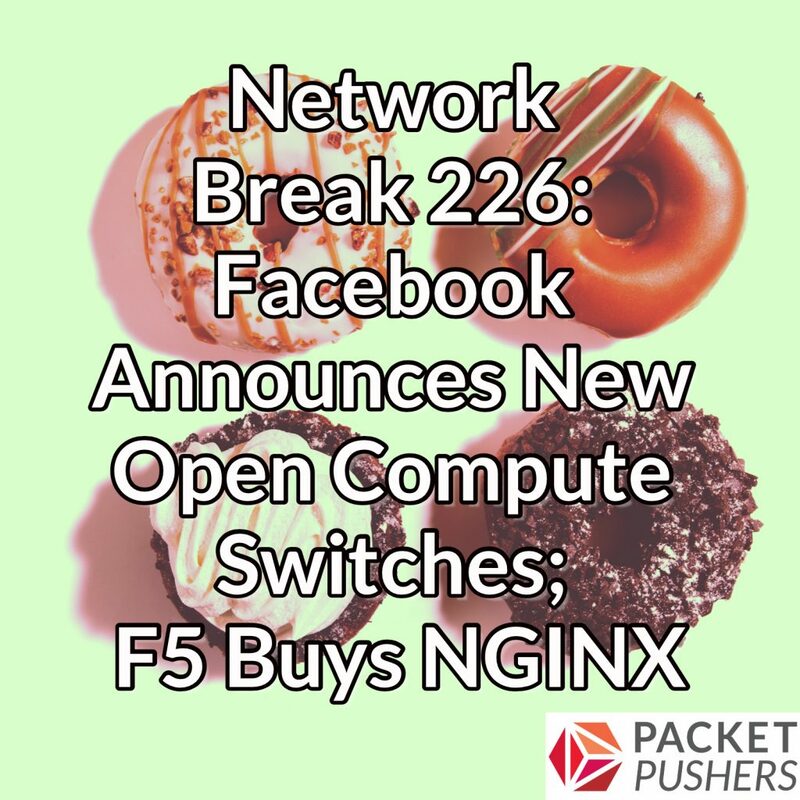 Big Switch demonstrates a network OS that combines Open Network Linux and Sonic, Facebook suffers an outage across multiple platforms, and the city of Tel Aviv tests new crosswalk lights designed to catch the attention of people whose faces are glued to their smartphones. ExtraHop is the enterprise cyber analytics company delivering performance and security from the inside out. ExtraHop offer complete visibility with machine learning to help you make quick, confident decisions about your IT environment. Explore the ExtraHop Performance Platform at extrahop.com/packetpushers. As far as F5 goes, I think they also saw that Avi Networks was taking market share. So, they needed a quick fix for that.